To say the last few days have not been fun is an understatement. My whole family got the flu and WE'VE BEEN SICK AS DOGS. On top of that Arianna got pink eye, which made things a whole a lot worse! Thankfully, we're on the mend now, but we’re still taking things slow, which explains my absence around here. Fashion has not been my top priority as you can imagine, but since I don’t want to look like a complete slob, I managed to put together comfy cozy outfits like this to run around and do errands. 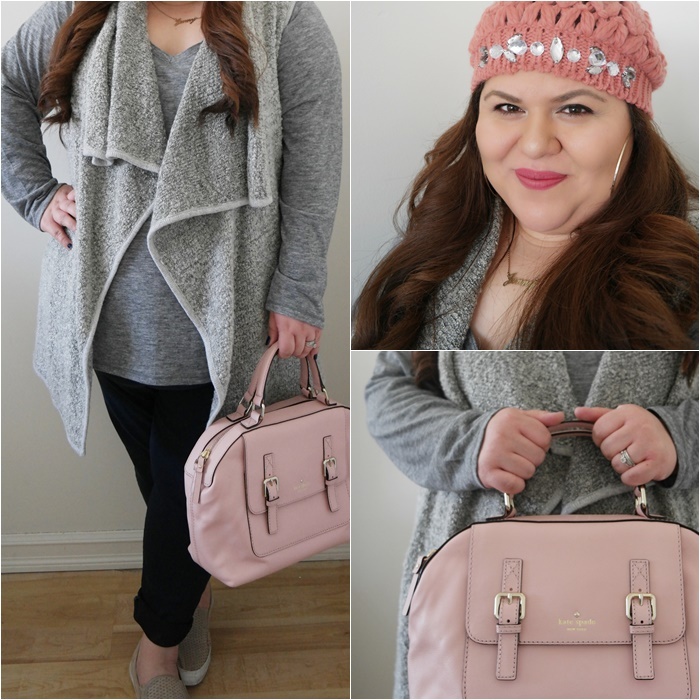 The outfit itself is pretty basic, but I think the pops of pink really add life to it - especially when you pair it with gray. Hopefully, I’ll start feeling better soon and I’ll have something more exciting to share with you lovelies. Hope you have a great week! Great outfit to do errands in not only is it comfortable but also stylish! I'm sorry you've all been sick. I hope you feel better very soon. Very cute outfit!